The second of my duty free holiday purchases, the Estee Lauder 'Raisins' duo is something I've had my eye on ever since Zoella announced it was her go-to eyeshadow. 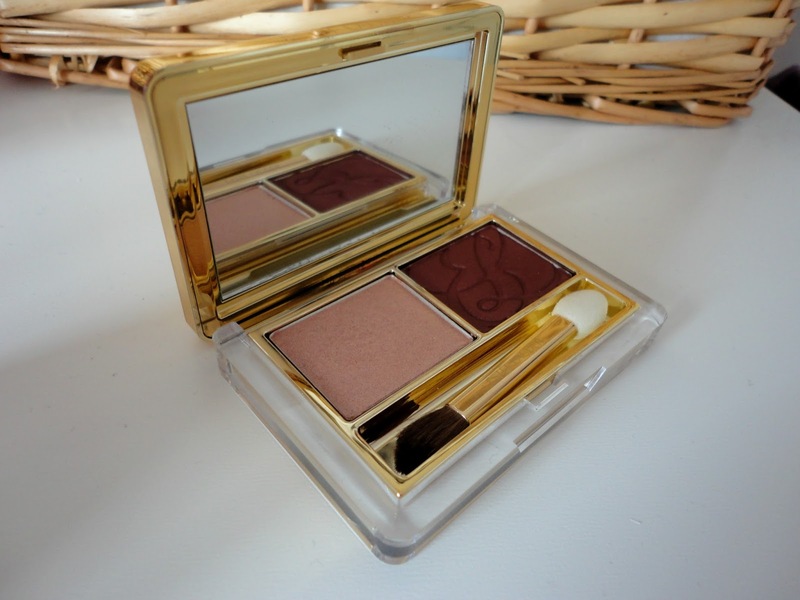 It's fast become my go-to eyeshadow as well and it's a nice baby step away from my usual neutrals! Firstly, the packaging is absolutely beautiful. I really like the sleek gold case with the 'EL' logo and a nice big mirror inside for on the go. The colours inside consist of a gorgeous peachy champagne colour and a deeper purpley colour. I like to apply a base like MAC's 'Bare Study' and then pack the lighter shade all over my lid. 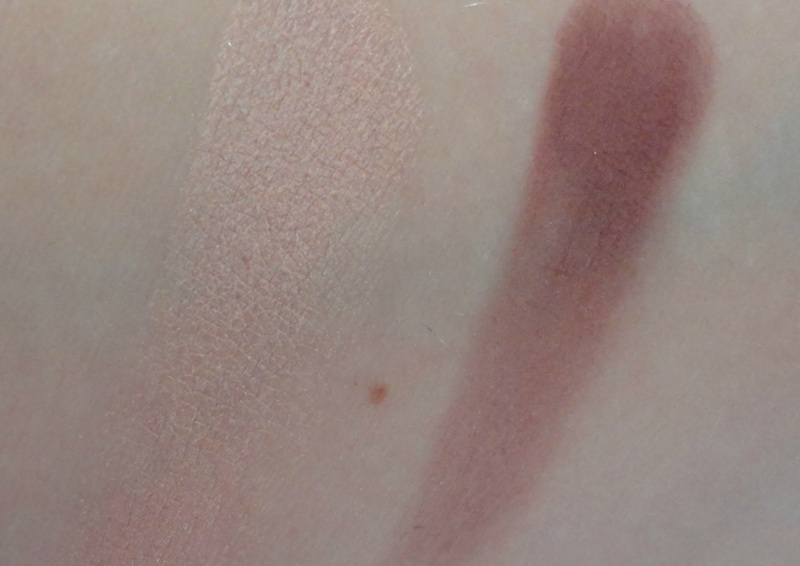 Then I use a MAC 217 to blend the darker colour into my crease. I think this duo is so popular because it suits all skintones and hair colours and I really like how it looks! It's also great for travel because you only need the two colours. For day to night, I just blend a bit more of the purple into the crease to darken the look. The purple is definitely more pigmented than the peach (as you can see from the swatches above) but overall I'm really impressed with this duo and it's one I'd recommend to everyone! Ooh this is gorgeous, the deep purple colour looks like it would be so nice and dark for autumn/winter but I bet the two combined looks even more stunning! ohhh... i might have to get this. the colours are perfect! This is absolutely gorgeous, definitely on my wish list. Gorgeous shade. Huge fan of the luxury feel of packaging too! This looks really tempting! I was eyeing up eyeshadow duos in John lewis earlier today!